now that thanksgiving is over and december is here, i can hardly believe that christmas is right around the corner! 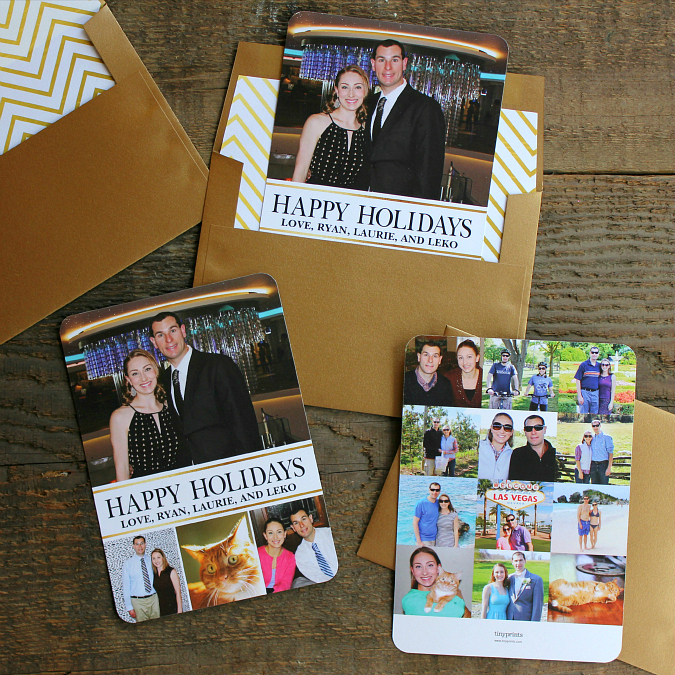 we just love sending and receiving holiday cards each year, especially photo cards. it's such a nice way to share little snapshots of the past year with family and friends. we were thrilled to be able to team up with tiny prints again this year for our christmas cards. 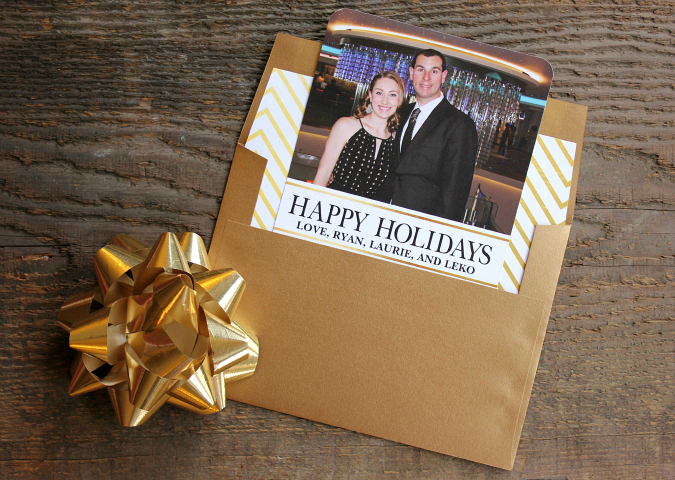 tiny prints makes it so easy to customize our cards. all we had to do was add our names and our photos. it only took a few minutes from start to finish, which is perfect if you have busy schedules like us. we made so many great memories this past year and we wanted to find a holiday card where we could display multiple pictures. (after all, it's way too hard to pick just one photo to use!) after looking through all of the options, we picked this card in the pearl white shimmer finish. 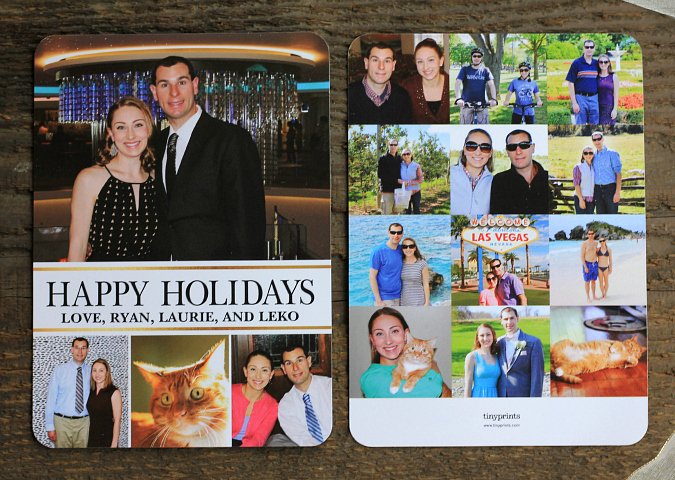 it was the perfect card for us because we were able to display photos on both the front and back! 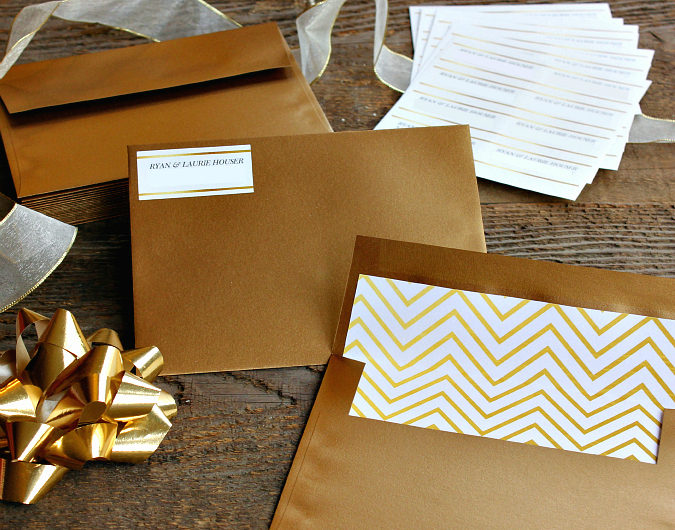 we chose gold envelopes to match the gold bands on the front of the card, and we embellished our gold envelopes with gold chevron envelope liners. we also ordered matching address labels which were the perfect compliment to complete the look. we all know that we have better things to do than to stand in line at the post office during the holiday season. so, tiny prints even will address, stamp, and mail out your cards for you if you are short on time. talk about a life saver! we absolutely love the way our cards turned out this year and we can't wait for our family and friends to receive them in the mail! Very nice card. I love all the pictures. Can't wait to get ours. These turned out really pretty. We are looking forward to receiving it. 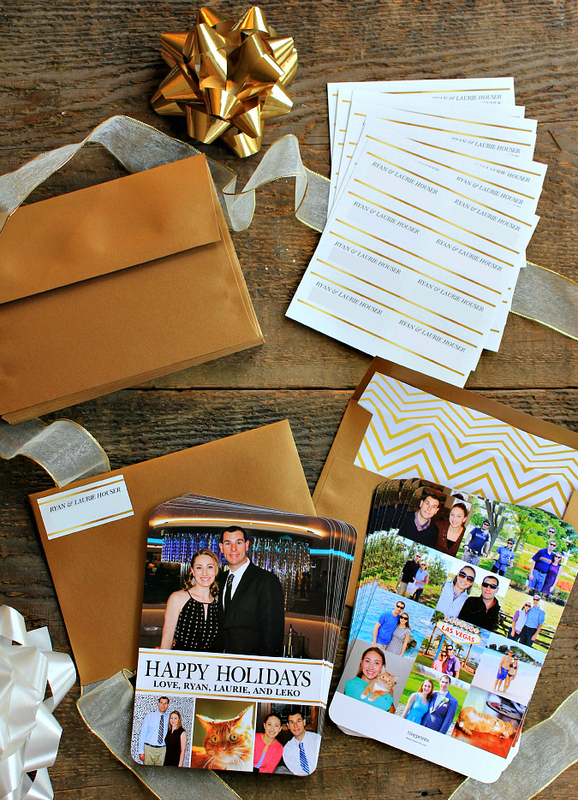 I love the gold envelopes!